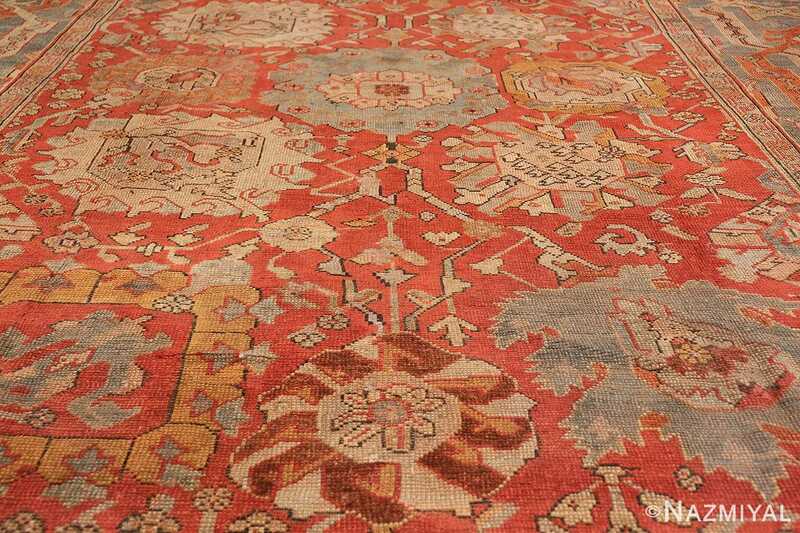 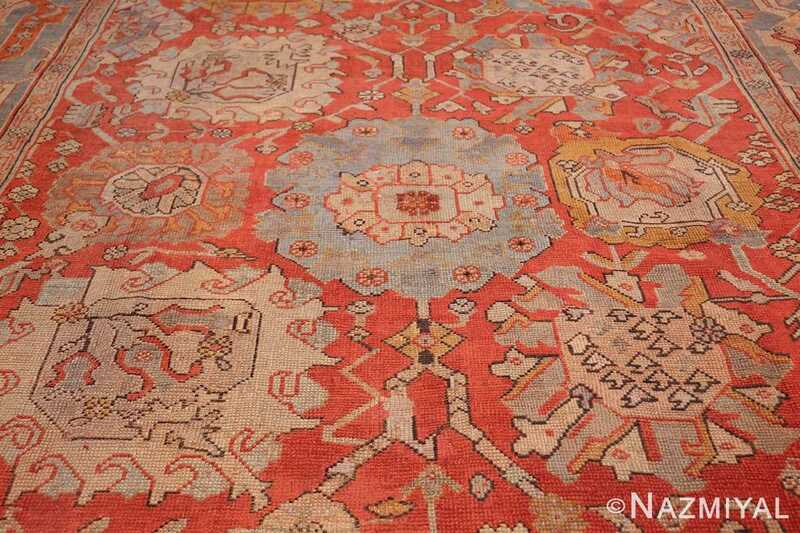 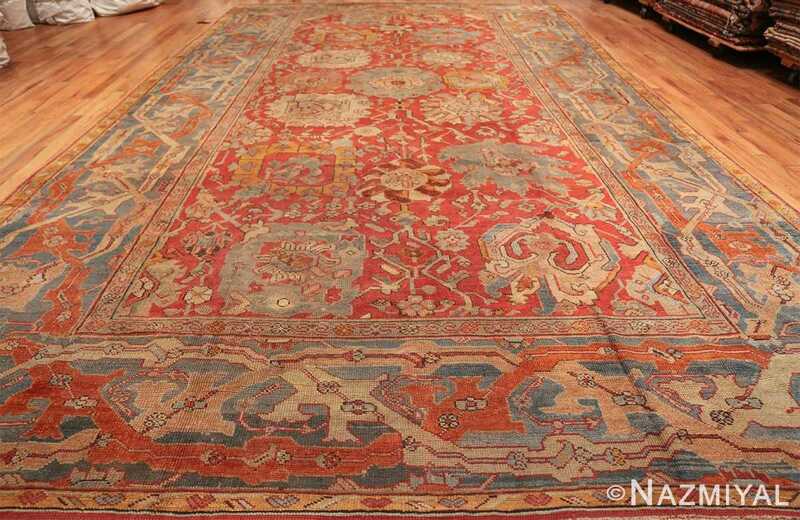 Featuring a stunning composition, this Turkish carpet is characterized by outsized tribal floral details and an intriguing pallet. 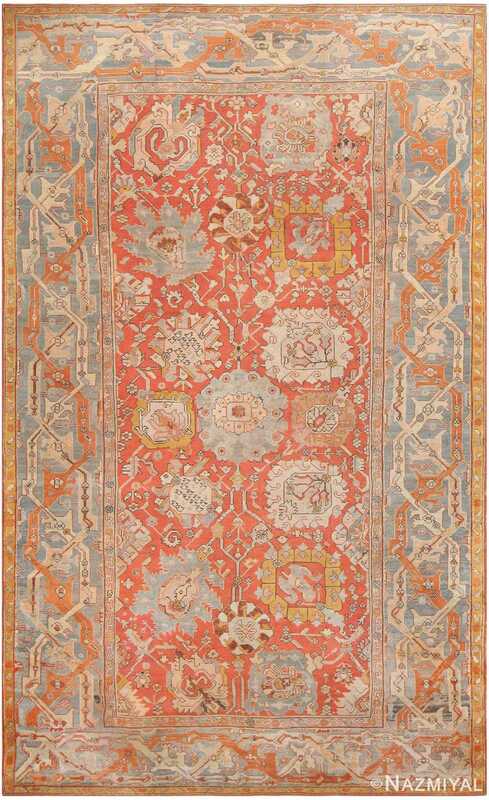 Antique Turkish Oushak Carpet, Origin: Turkey, Circa: Final Quarter of the 19th Century – The tribal nature of the design work, which is based off of an antique Persian vase design carpet, is quintessentially Oushak: the large and irregularly proportioned details are radiant with the aesthetic that makes these rugs so desirable. 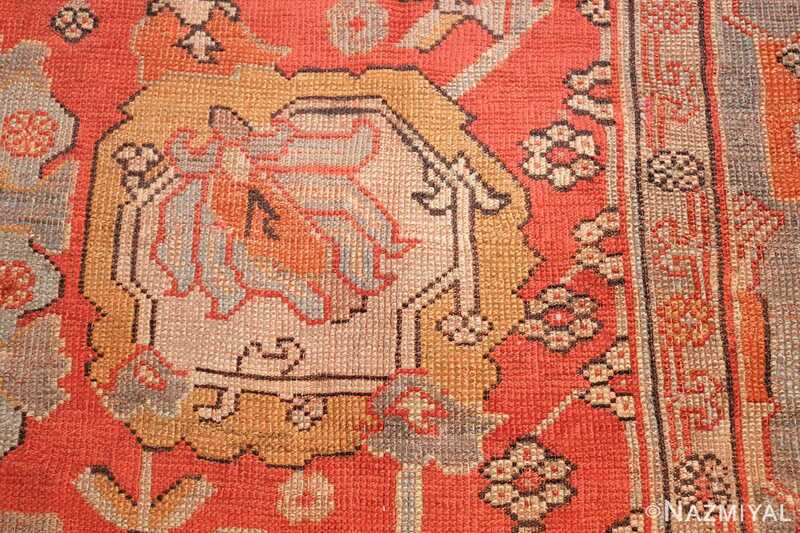 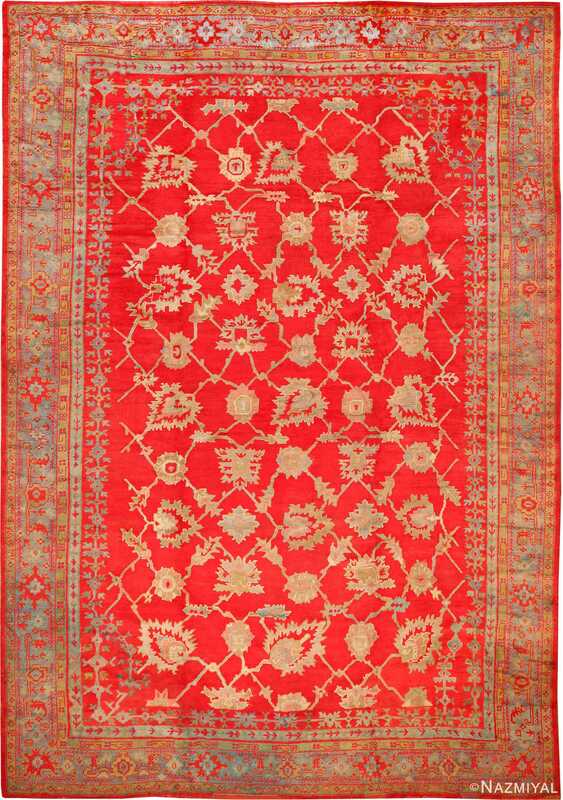 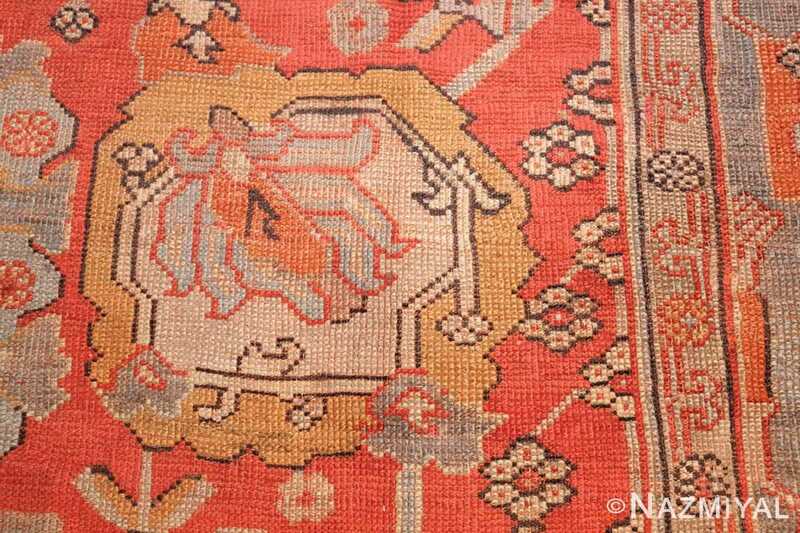 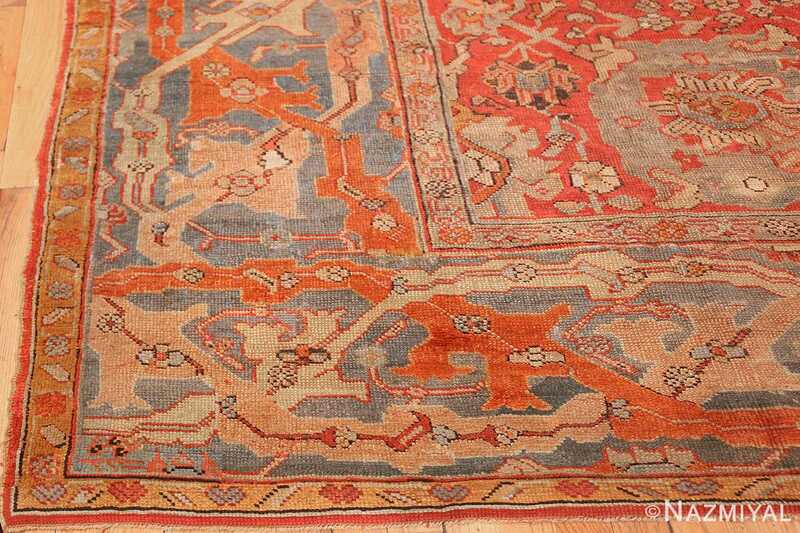 The wide borders, also richly decorated, are woven in the fine Oushak tradition. 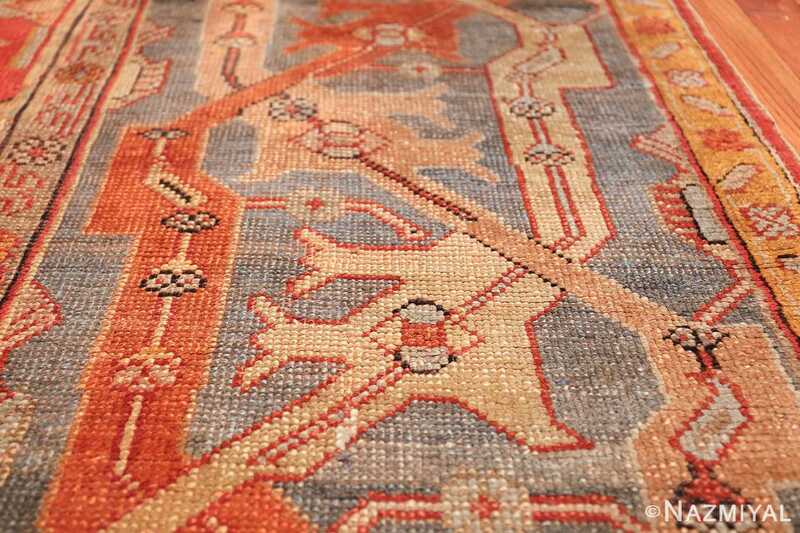 The small floral details that populate the wide and angular vine scrolls infuse the carpet with a subtle charm that elevates the appeal of the more geometric details throughout. 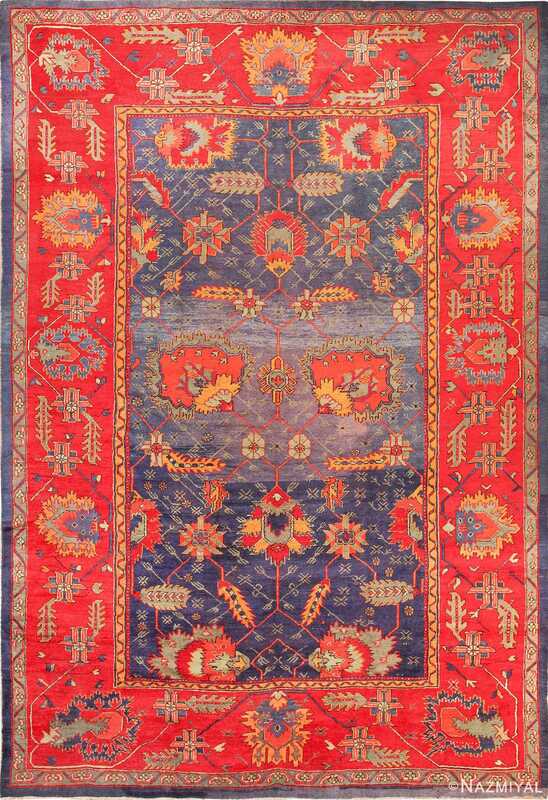 Needless to say, this is perhaps one of the most impressive and decorative antique carpet available anywhere. The awesomeness of the scale, the beauty and softness of the colors, the sophistication of the border design and the unusually finer weave are all attributes that are exciting in and of themselves. 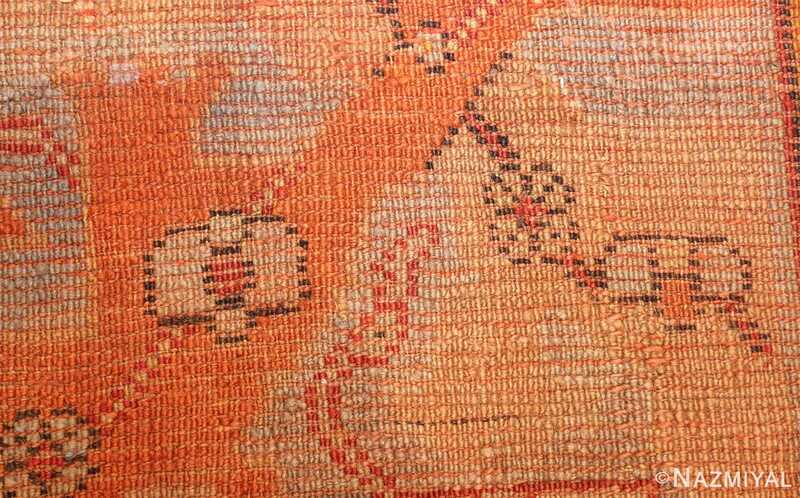 That said, in this piece, all these aspects unite to create a remarkable work of art that is representative of the best of the best. 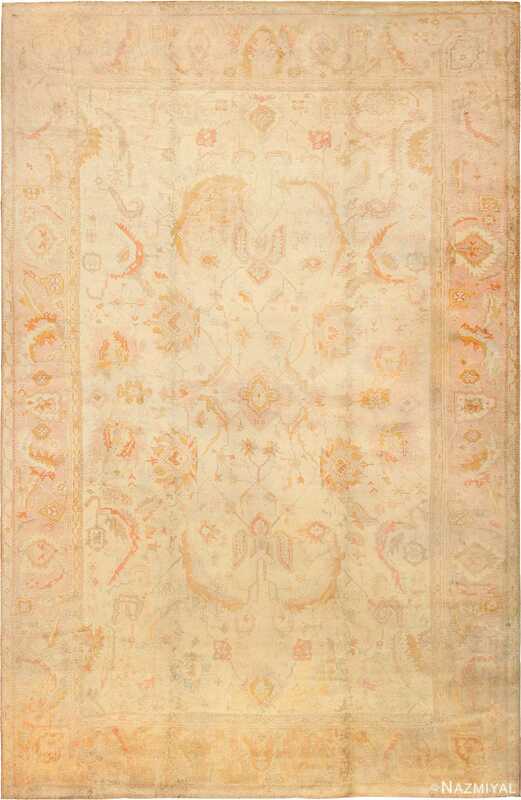 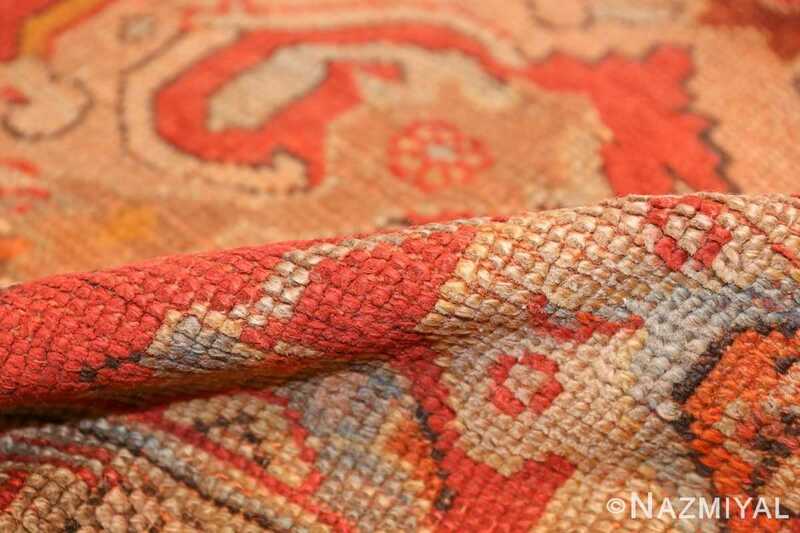 Nothing about this carpet could be called ordinary and everything about is breathtaking – a true one of kind work of art that will transform any space into a living breathing artistic space.